Sonic Boom isn’t a Sonic game. That’s not meant to sound harsh. I’m not making a grand statement here, either. It’s just…not a Sonic game, not the kind of Sonic game you and I have played/grown up with/grown to despise/whatever your opinions are. This is a new Sonic. This is a new Tails, a new Knuckles, a new Amy, and a new friend. Here’s what I have to say. I’ll start with the Wii U version of the game, Rise of Lyric. Exposition time! I have no opinion of the new character designs or the new direction. Anyone who’s seen my review of Sonic Lost World and other fodder knows I have a long-running history with the franchise…but I did not go into my experience with Rise of Lyric on a note of bitterness. I was ready to see what they’ve done with Sonic and friends, and if they’d accomplish what they were trying to do. So what are they trying to do, Jonathan? I heard it straight from a representative at SEGA of America. 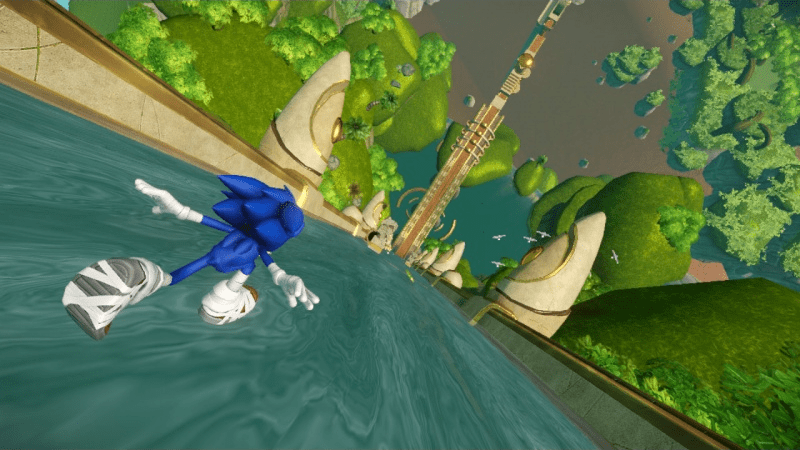 Sonic Boom is an attempt to market a character who has been around for twenty-five years to a younger audience–the kind of audience who tries to play modern Sonic games and finds them too difficult. Sonic, Knuckles, Tails and Amy still have the personalities fans have grown accustomed to. But you can tell based upon their vocabulary that these characters have been designed with a younger audience in mind. It’s not as though Sonic the Hedgehog as a franchise is known for being “mature”, but….you certainly won’t find these guys wielding guns a la Shadow the Hedgehog anytime soon. Before I even get into how Rise of Lyric plays, I think it’s important to stress that this game feels like it should be played with friends. Multiplayer is seamless (although it wasn’t in the demo, you can tell people will be able to pick up and play upon the game’s release). Given the new approach, teamwork is stressed between characters–they’re often in groups. You can switch between them at your leisure. Both Rise of Lyric and Shattered Crystal seem heavily concerned with exploration and combat. Neither game is a case of “press left to win”. The new gameplay (which varies based on who you control because each character has unique abilities that help with solving puzzles) is so different that it brought about me saying what I did to open. 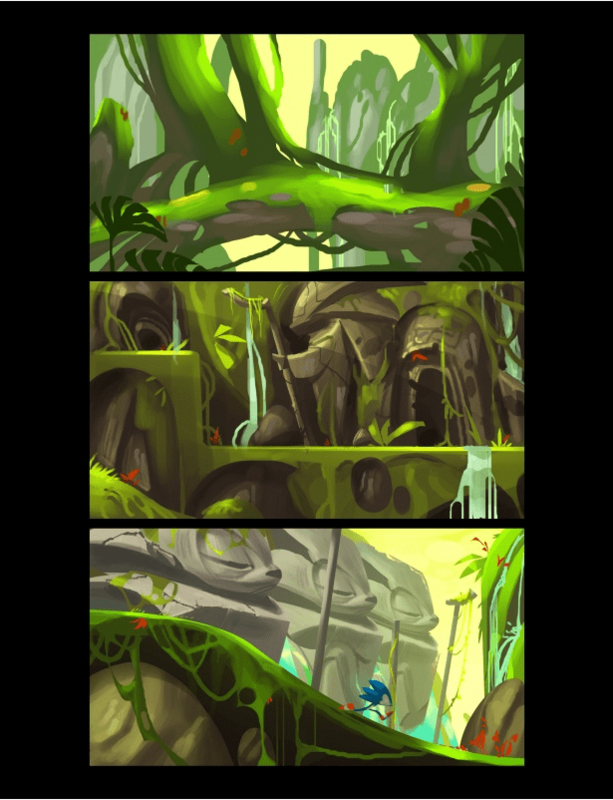 It doesn’t feel like a Sonic game–it feels like a platformer Naughty Dog would make back in the day, but better. Sonic will punch, kick (and yes, spindash) his way to victory. Enemies are attentive; combat is genuinely fun. Everything feels very strategic, as far as enemies go. I’m hardly young anymore, but as someone who grew up with games…I remember what “entry-level” feels like. Rise of Lyric and its 3DS counterpart are the entry-level Sonic. Your kids are gonna love it. More on gameplay: I was finding treasure chests and collectibles strewn about a decent-sized level. There were puzzles that made me think. There were times I got lost and needed a SEGA rep to point me in the right direction. There’s even this grappling hook-like object that all the characters use to pull switches/objects closer to them. There was so much variance to the gameplay that I almost felt overwhelmed at times because…the Sonic fan in me was still expecting a Sonic game. That notion is wrong–it was wrong of me to expect a Sonic game, I think. But…I didn’t feel disappointed at the end. Just like I’d played something completely new. That’s the point I’m trying to drive home: This is new. It’s so new that only the names and faces are what dedicated fans would recognize about this world, I think. Just a few quick notes about Shattered Crystal after summing up my feelings. 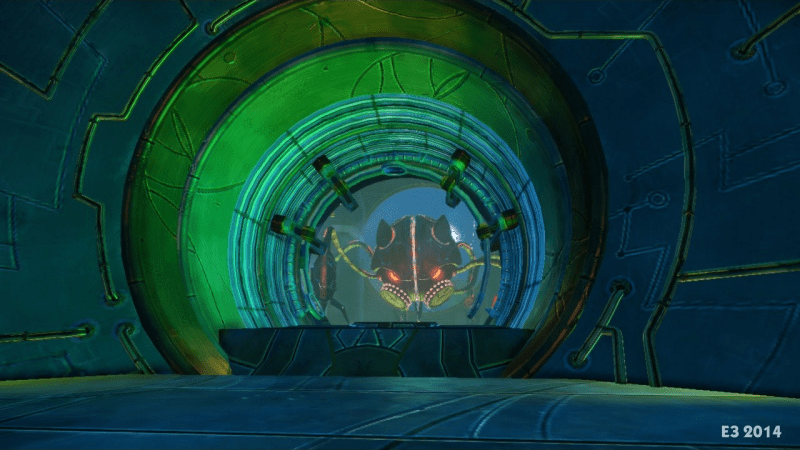 The Wii U version features massive 3D environments–the 3DS version features massive 2D environments. Upon first glance, you might think it’s 2D! It MUST be more like a Sonic game, right? No sir–it still has the gameplay of the Wii U version focused on exploration and combat more than speed. The level I played made good use of every character (you can control several at once, just like the Wii U version, just by touching the touch screen to switch in order to accommodate puzzles. 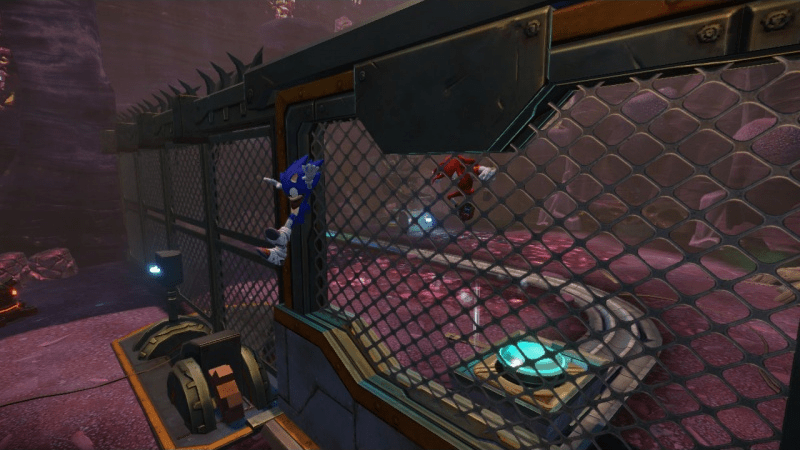 Knuckles burrows–and it works a lot like the drill power in Sonic Colors–there’s a timer and all. Tails hovers (no, he can’t fly–he drifts in the wind). 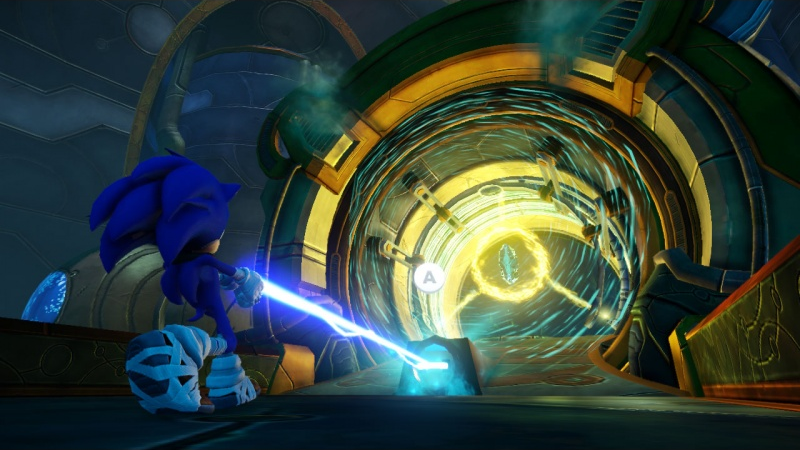 Sonic is still focused on speed, but those segments are fewer than you may think. I even got lost in the 3DS version–which was funny, because I didn’t realize the game had a map on the touch screen. Speaking of “lost”, in Rise of Lyric you can press a button on the GamePad to reveal footprints to follow (where you should be going). Like I said–totally different gameplay than you’re expecting, whether it’s in 2D or 3D. Whether or not that sells you or turns you away once and for all isn’t up to me. Just know that I honestly feel SEGA has succeeded in creating a game that will appeal to a younger demographic. I’m all good with Sonic Boom. The 3DS version of the game is coming this winter with the Wii U version to follow (as well as the show, the toys and everything after).